Chicago-bred fashion designer Don Crawley is known for taking existing renditions of footwear or clothing – whether it be the Air Jordan 2 or a pair of Mitchel & Ness basketball shoes – and adding his signature maximalist aesthetic into the fold. One of the grandest examples of this is his brand new Jordan Legacy 312 silhouette, a hybridized lifestyle model that fuses elements from the Air Jordan 1, the Air Jordan 3, and the Alpha Force Low together for a recognizable look that it can still call its own. 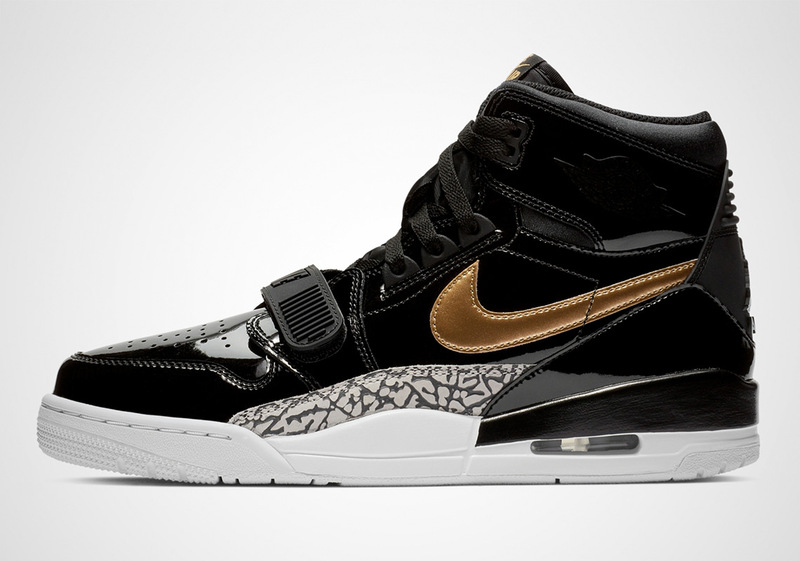 Early creations of the Legacy 312 have seen their color schemes borrowed from past Jordan and Nike creations, and now Don C is adding a familiar black and gold patent leather construction that was once featured on one of the more elusive Jordan 1s in history dating back to 2013. The addition of the AJ3’s Cement-colored elephant print certainly gives this offering its own character, but is is more than fair to draw comparisons between the two patent leather-equipped designs. No release information has been reported just yet, but overseas retailers are reporting that a drop is coming soon, so grab a first look below and keep it locked for updates as we have them.